Will I ever get tired of stripes? Most likely not. In fact, I always find myself stocking up on stripes when I already have plenty! Something never gets old. This classic pattern is essential to any wardrobe and versatile to any style. 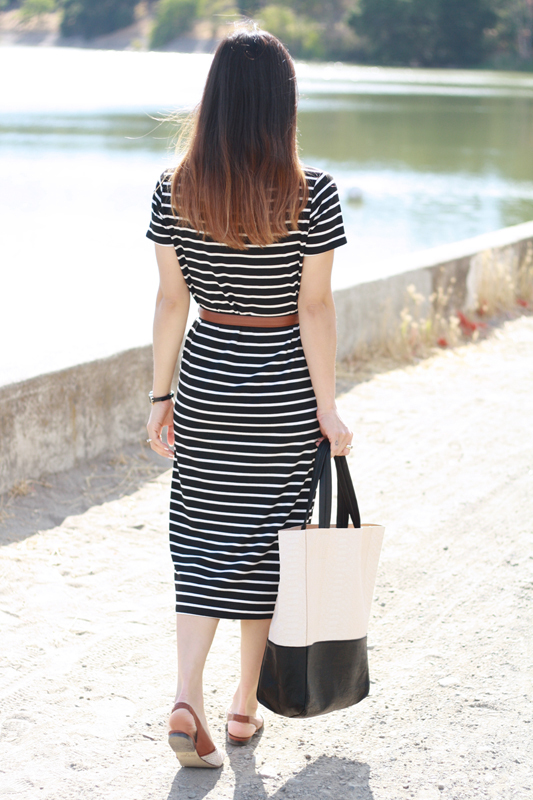 This striped midi t-shirt dress is so easy and comfy. I accessorized it with a vintage leather belt, vintage two tone flats from White Light Shop, and my brand new tote bag from OASAP. 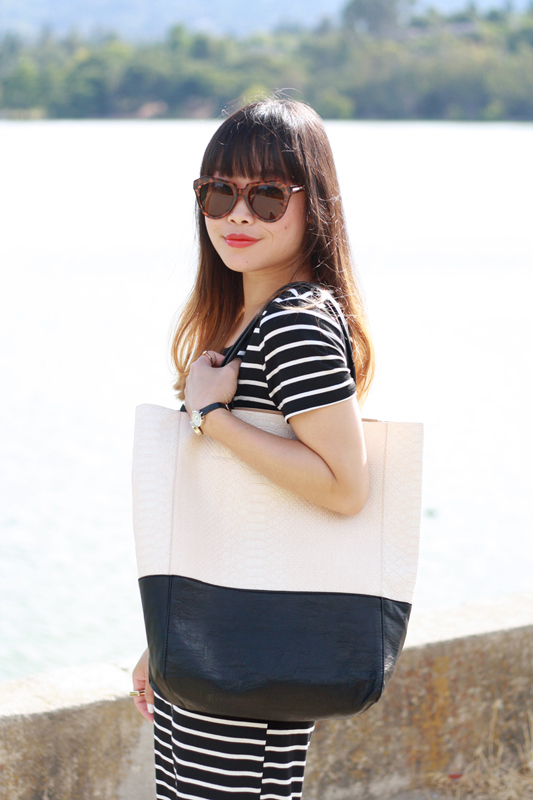 How I love a good tote especially when it is two tone in cream snake print and black leather! Lastly, White Light Shop is offering my readers 15% off everything from now thru 7/19. Go check out this wonderful vintage shop and use discount code "shopwhitelight". 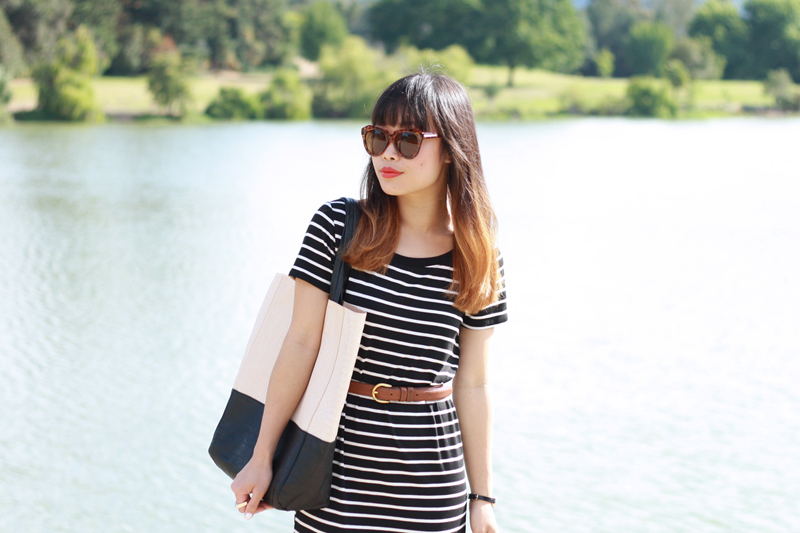 Striped midi t-shirt dress from F21. Vintage two tone leather and mesh flats by Ellemenno c/o White Light Shop. Wow, that dress is perfect! Love how you wear it! I love your shades & belt. Basically classy!!! This outfit is perfect sophistication! 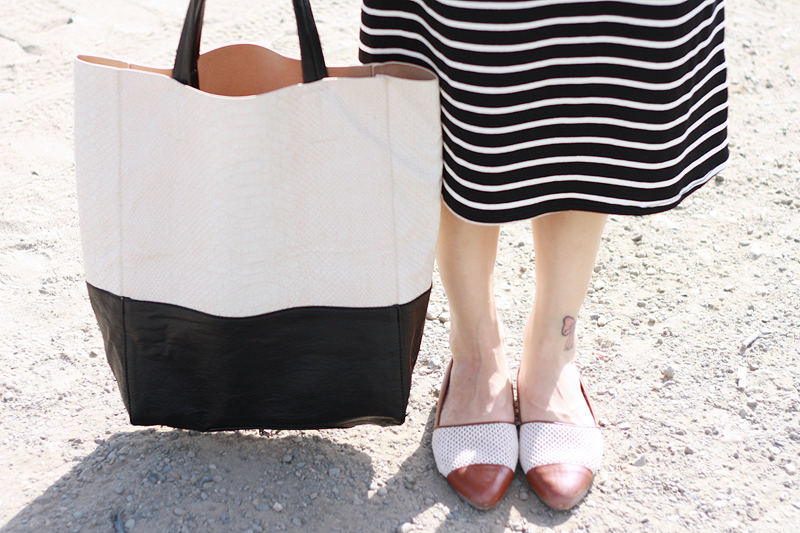 Stripes are just the perfect classic! And that dress looks perfect on you! I really love the simplicity of this dress and stripes one of the trends that will always be in fashion so I guess keep buying more stripes.